24/7 Emergency Towing Service In Kent Washington – towing service in your area (206) 399-5012 Family owned and operated, KENT Towing Service provides Towing and Recovery Services to the entire King County metro area and surrounding Areas. We specialize in damage free towing with our modern equipment of flatbeds, wheel lifts, service trucks, and medium duty wreckers. We can assist you with all of your towing needs – from motorcycles to motor homes. We not only tow locally, but also long distance. In Kent Towing Service We value our reputation for fast, reliable Towing Service in Kent Washington at competitive rates. Our prompt, professional, uniformed drivers are usually able to respond within 20 minutes or less any where in South King County. We are centrally located to get anywhere in the Seattle metro area quickly. Kent Towing Service provides fast, dependable and reliable Towing service in Kent WA. Our fully insured and uniformed technicians will provide you with prompt and professional 24 Hour 7 days a week Kent Towing Service. 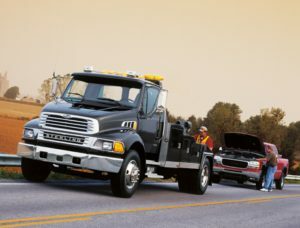 since 2002, Kent Towing Service offers a variety of towing services from light and medium duty towing to flatbed and wheel lift towing services. Whether you need to tow your car to the dealer for service or require flatbed or winch-out assistance, we are the business for you. When you choose Kent Towing Service , you are choosing the best – all of our professional technicians are experienced and capable of handling any towing situation. Locally owned and operated, Kent Towing Service provides fast, dependable and reliable service. Our fully insured uniformed technicians will provide you with prompt and professional Towing Service in Seattle Mero Area . When you need roadside assistance, call Kent Towing Service, serving the entire Seattle WA area and surrounding areas. With over 16 years’ combined experience, our uniformed professional technicians will provide fast, reliable and friendly car towing service & roadside assistance in South King County. We’re available to help you with whatever service you need to get your car off the side of the road and heading home. We are locally owned and operated towing company in KENT WASHINGTON that has been offering quality tow truck services in KENT WASHINGTON with friendly, professional 24-hour Towing Service , with over 16 years experience. Kent Towing Service has a large Fleet of 3 trucks out on the road at any given time. In most cases we will be able to respond in 20 minutes or less weather permitting. Cars, trucks, box vans, motorcycles and more… our experienced drivers can handle all your towing in King County needs no matter how big or how small it may be. We look forward to proving to you that our professionalism, friendly team and the desire to go the extra mile is our word. As one of the most experienced towing companies in Seattle metro area, Kent Towing Service offers full Towing Service at an affordable price. We respond to most vehicles in under 20 minutes (weather permitting) no matter what size of tow. Whether you have a compact car, four wheel drive, or a collector car, we’ve got the right equipment and staff to do the job professionally. Whether you are a tourist in your family car or a trucking company delivering material to help build this city, we are prepared to serve you with the latest technology, best equipment and foremost personnel available. We are proud to service the entire Seattle metro area ! The professionals at Kent Towing Service got their start in roadside assistance and wrecker services in 2002. Since then we have grown with the times to develop a trusted and respected towing company in Kent WA providing exceptional roadside assistance in King County. Background checks are performed on all employees to ensure you receive only the highest quality service from the best possible workers. Experience the difference in our fast roadside assistance by calling us today in Kent wa. When your car battery loses its charge, we come to you and charge your battery. Our roadside assistance in Kent WA team provides the jumper cables and jump pack in order to transfer electricity for a better charge. Kent Towing Service is fully equipped and able to bring all the necessary tools to change your tire if you have your spare. 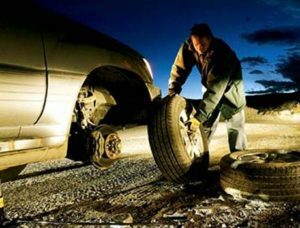 When you don’t have a spare; our roadside assistance crew is happy to load up your vehicle and take it to a tire shop for repairs. In 2002 Kent Towing Service . began providing the Greater Seattle WA Area with reliable and trusted Towing and Recovery Services. Through the years we began to separate ourselves from the competition by establishing strong business relationships and offering unique and personalize services to our clients and customers. Our diverse towing capabilities and vast service options compliments the expertise and dedication of our tenured staff. We understand that in a service industry quality and safety comes first, we also recognize that being an emergency-based business, expedient service is necessary to resolve a breakdown. WE SERVE THE KING COUNTY If you have a break down in an area where we are unable to respond in a timely fashion, we won’t hang you out to dry. We are not too proud or greedy to refer another reputable towing firm to handle the job. We understand the importance of providing our clients and customers with expedient service during a breakdown. In addition, we will even provide the billing to our exclusive accounts so you don’t have to jump through hoops to come up with the cash on the scene of the breakdown.